With many auto shops, you run into issues when you bring in a vehicle that hasn’t been in production for several years. Lots of shops cycle through personnel far too quickly, only employing younger and inexperienced mechanics who may not have any history working with a given vehicle brand. 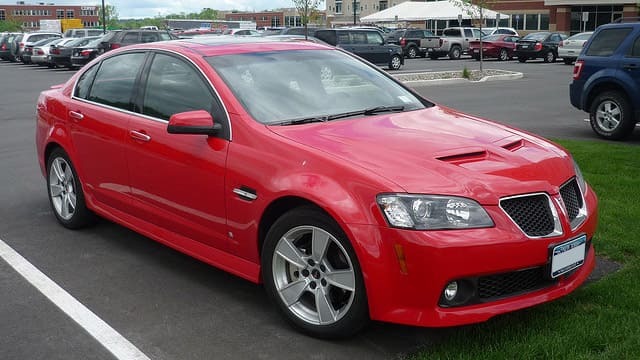 At Jerry Lambert Automotive, you can eliminate those issues from your life if you own a vehicle like a Pontiac, which was discontinued by Chevrolet in 2010 after 84 years of production. Just because a car is discontinued doesn’t mean it’s not still owned and on the road, and we’re here to provide high quality service. This starts with our top-notch mechanics, all of whom have years of experience and full ASE certification. It extends to our customer service staff as well, friendly folks who will both keep you comfortable while you wait and help you stay in touch with your technicians as they work on your car. These two service branches combine to make us highly transparent and honest in our services, likely the largest factor in our consistent A+ Better Business Bureau rating. And if that doesn’t convince you, our convenient 3300 South location will. Not only can Salt Lake City drivers easily access our services, but so can those in West Jordan, Draper, South Salt Lake and all similar areas in the valley. Rather than travelling a huge distance to a shop tucked in some corner of the city, choose service you can access far more easily. So whether you drive a Pontiac Firebird, Bonneville, Grand Am, Solstice or any of the G3 through G8 models, get your vehicle the service it needs. Call us at Jerry Lambert Automotive to schedule an appointment, or drop by our convenient location when in need.